I've been thinking about this topic for a while. It's basically about language and could serve as an insight into how I choose what I choose to post about on Fairy Tale Fandom. So, since I seem to have an extra week in this month to play with, I decided to make a post about it. First a question, though: What is a fairy tale? "Fairy Tales: Also called "magic tales" or "wonder tales," stories with elements of of magic and enchantment. They may include supernatural characters such as witches, wizards, elves, dragons, and even occasionally fairies." Now, most scholars will go on from this point and start to talk about motifs. For example, there are patterns of three in many fairy tales (Three trips up the beanstalk. Three trips to the king's ball. Three attempts on Snow White's life, etc). Or they may talk about character archetypes like the "fool" or "witch" or "princess" or the presence of "magical helpers". They may even talk about how the main character transforms throughout the course of the story, moving from servant to royal or poor to rich. All of these things are in fact true earmarks of the fairy tale as scholars describe them. 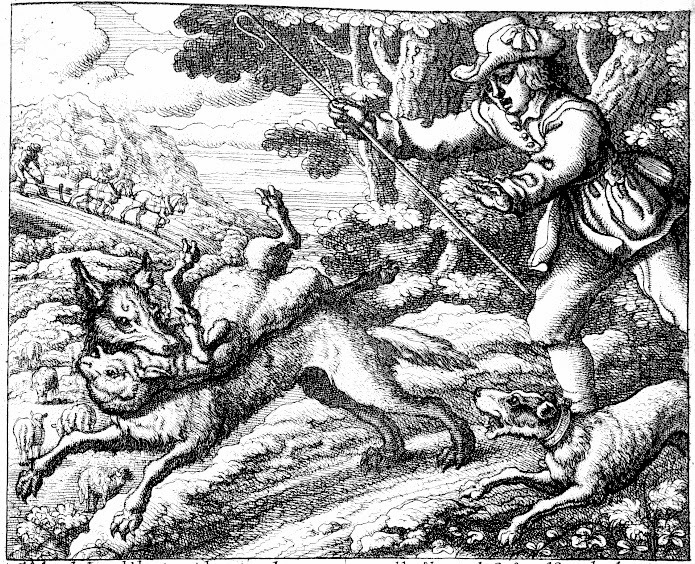 They're what set them apart from other folk tales like cumulative tales (like "The House that Jack Built"), pourquoi stories that explain how things in nature came to be (like "Why the Hyena Laughs") or beast tales (like "The Hare and the Hedgehog") or even more realistic tales. However, there are "Fairy Tales" and then there are "fairy tales". The English language is a funny thing and has been a funny thing for quite some time. Even the modern, scholarly definition of the term is a bit odd. It is of my personal opinion that when Madame D'aulnoy coined the term by naming one of her books Contes des Fees, I believe she was being entirely literal and straightforward. She was telling "tales of fairies". However, it's just that at the time of writing in 17th Century France, the term "fairy" seemed to translate more to "magical person". It's a trend that carried through the work of most of her contemporaries. The Fairy Godmother in Charles Perrault's "Cendrillon" was literally a fairy who was Cendrillon's godmother. 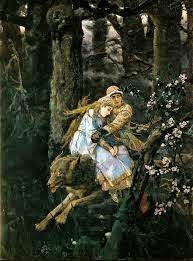 It's only as our definition of fairy moved more to the delicate winged pixies of Victorian children's literature or to the more earthy, morally ambiguous pookas and hobgoblins of the old fairy lore that we moved away from this and more toward fairy tales only occasionally having fairies in them. Now, the word has continued to evolve. So, while "fairy tale" still means what it means to folklorists and scholars, it has also developed a second meaning to the general public. Basically, the term fairy tale has come to be applied to any old story, song or rhyme usually containing fantastical elements that they have probably encountered in childhood. This tends to include fairy tales, pourquoi stories, beast tales, fables, legends, nursery rhymes and classic works of children's fantasy literature. Don't believe me? Check out Fables, or Ever After High or Shrek or Once Upon a Time (at least Once Upon a Time had the wherewithal to admit that Frankenstein is not a fairy tale). They all include characters from a wide range of these things despite being considered "fairy tale" works. Heck, look at how we title some classic collections of folk stories. The Grimms collected all different types of folk stories but now we call their collection Grimm's Fairy Tales. This type of linguistic condensing isn't all that uncommon. It's why many people will refer to any extinct ancient animal as a "dinosaur" even if it isn't or how any frozen treat might get termed "ice cream" for convenience's sake. Now, what does this have to do with me and Fairy Tale Fandom? Well, have you ever noticed what a wide range of things I post about? When I started this blog I was a storyteller and a specialist in folk tales. True fairy tales were part of that repertoire but not the only part and they still aren't. Now, when I started this blog I had a few things to consider. Was I just going to post about folk tales? Was I going to pick which type of folk tale to post about? However, as I started thinking about the term "fairy tale" and what it has come to mean, I realized what a whole lot of cultural punch it had. So, thinking about this double meaning and its implications I decided something: it would be far easier to embrace the beast than to slay it. The popular value of the term fairy tale has gained far too much weight in the world to ignore. It also would be far more interesting and fun to embrace the wider value. 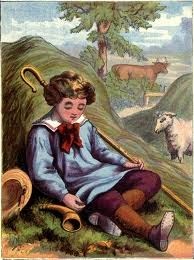 After all, I love children's fantasy literature and legends too and knew I wanted to write about them (I still haven't figured out any way to tackle the subjects of fables and nursery rhymes, but I'm working on it). At the same time I thought "Would it be too much to acknowledge the true natures of these stories as well?". And so, my different columns were born. So, when I talk about obscure folk tales, they fall under "Folk Tale Secret Stash". 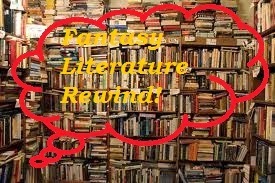 When I talk about children's literature, it falls under "Fantasy Literature Rewind" and so on. I also realized in my musings that most people's knowledge of what they called "fairy tales" still consisted of a few household names. So, I thought that while embracing that wider net that I could still push on the boundaries of what people "knew" about the tales. It became a question of "Why not do a series of posts about the story from Swan Lake?" or "Why not introduce people to stuff like Rootabaga Stories or The Princess and the Goblin?" or "Why not spend October just posting about ghost stories?" Folk Tale Secret Stash was a direct result of one of such "why nots". The idea was to be inclusive rather than exclusive without painting every story with the same brush. Yet, sometimes it's best to not be too inclusive. There are times when being inclusive can just go a little too far. For example, I've seen supposed "fairy tale" derived works that included characters like Ichabod Crane, Ebenezer Scrooge and Long John Silver as well as certain characters out of Shakespeare. As far as I'm concerned, that's going too far (though, maybe you could make a case for A Midsummer Night's Dream). Real people that are more history than legend (like say . . . Pocahontas) are also off-limits. Need a more practical example? Well, okay, let's talk about my Fairy Tale Media Fix and Fairy Tale Fandom Book Report columns. For these, I like to keep it restricted to works based on actual real-deal fairy tales or that include fairy tale motifs. Now, you may remember that not long ago ABC had a little series called Galavant. All the ads described it as a fairy tale musical comedy. I really enjoyed this show. I thought the jokes were funny. I thought the songs were very catchy. I still really want a season two. There was just one thing that kept me from covering it on Fairy Tale Media Fix. Despite the description used in the ads, it really wasn't like a fairy tale at all. It was more like a parody of medeival romances than fairy tales. So, I had to let that one go. So, that's my piece. Now I'd like to know what you think about the term "fairy tale" and all its various meanings over the years. Am I right in thinking that the popular culture definition of the term "fairy tale" has gotten too big to ignore? Let me know in the comments below. 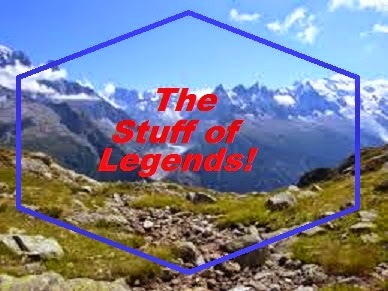 The Stuff of Legends! : Mulan. You know, outside of movie reviews, it’s not often that I give any props to Disney. I mean, it’s not like I have to. We all know what the Mouse has done for the old tales, for better or for worse. However, there is one thing I have to give old Mouse Ears Incorporated credit for, it’s that they’re good at putting things on the cultural radar. Without Disney, I doubt myself or anyone else in the Western Hemisphere would have ever heard of Mulan. I’m sure you all remember Disney’s Mulan, right? Released in 1998, it was the Disney movie that made feminists and Asian Studies majors alike punch the air in triumph while also giving the world the best workout song ever to come out of a family film. It seems that Disney isn't quite done with this story, because a live action version is in the works. Disney, of course, has its own way of doing things. The legend of Mulan actually dates back hundreds of years. The ballad of Mulan was first transcribed before the founding of the Tang dynasty in the 6th Century in Musical Records of Old and New. The original work is now lost, however quite luckily it was transcribed in the 11th Century by a man named Guo Maoqian for his anthology of poems Music Bureau Collection. 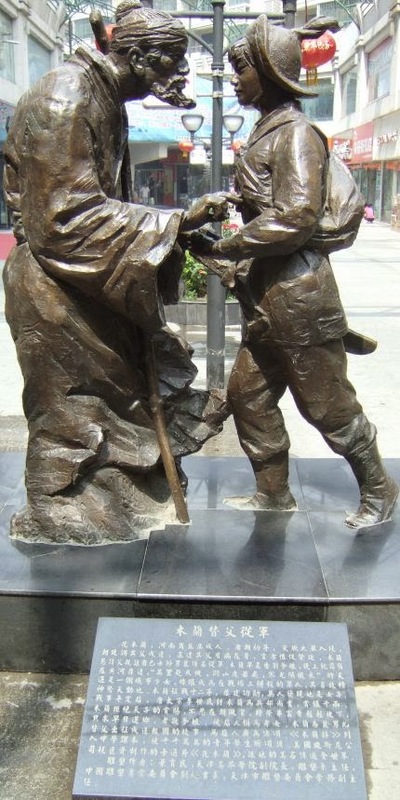 The story of the ballad has since been adapted into any number of works in China including more poems, plays, novels and movies. To research this post, I read a book entitled Mulan: Five Versions of a Classic Chinese Legend, with related texts, edited and translated by Shiamin Kwa and Wilt L. Idema. This book includes in it one poem, one song, two plays and a movie script as well as a preface and various plot synopses of various related works. The earliest poetic version tells the story in very plain form. Mulan is worried for her old father who is supposed to go and join the army. She decides to go in his stead. She fights as a soldier for twelve years, after which she’s offered a high position by the emperor. She declines and decides to go home. Upon arriving home, she puts on her old clothes . Her comrades-in-arms are now surprised to discover she’s a woman. That’s really it. Nothing else. The vagueness of it all makes Mulan a really hard character to pin down historically. She easily could have been a real person and she could easily have been made up. Where Mulan hails from is also up for some degree of debate. Some say she was from Wan County. Others say she was from Shagqiu Province. Yet others say she was from Liang prefecture. The only thing that seems certain is that she came from somewhere on the Central Plains. Over the course of her many different incarnations, Mulan has had any number of surnames including Hua, Fa, Zhu and Wei. In some versions, her full name is actually Mu Lan. Who she actually goes off to fight is different all the time, too. The Disney movie used the Huns as the enemy of choice. In many cases they are just general bandits. On rare occasion, they’re given a leader by the name of Leopard Skin. Leopard Skin is depicted in one of the plays not so much as an invader as the leader of an uprising from within China. In some more modern adaptations, her enemy is the Turks. This makes sense considering people don’t even know which era she lived in. Cheng Dachang of the Song Dynasty wrote that she lived during the Sui and Tang Dynasties. Others say she lived during the time of the Six Dynasties. Stories that circulated on the Central Plains suggest that she lived sometime before the Tang Dynasty. Considering China’s long history and the length of a dynasty, this actually doesn’t help pin her down historically. In most versions, she simply goes home at the end. 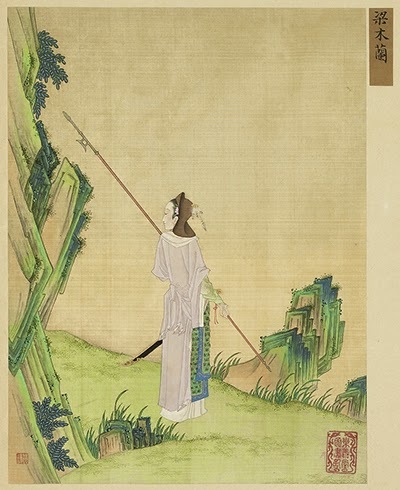 Though, one version by Chu Renho entitled Sui Tang Yanyi gives Mulan a tragic end, not on the battlefield at the hands of her enemies but by her own hand. Upon returning home she finds her father has died and her mother has remarried. She then is summoned back to the capital by the emperor to become his concubine. Rather than face this fate, she commits suicide. No known versions of the legend prior to this include such a fate and very few afterward have. However, the lack of information about the "real Mulan" kind of makes the legend malleable, which is good for keeping a story relevant. This malleability of the legend makes it easy to adapt to different times. However, it also kind of allows the focus to shift in an interesting way. While Mulan does go off to join the army and fight, her enemies don’t really matter that much. They could be any enemy of the Chinese empire. Even in the Disney movie, the Huns may be big and scary, but there’s not much to them. So, it’s not so important who she fights as much as the fact that she did go and fight. However, just because it’s important that she fought, why it’s important varies from culture to culture. Here in the United States, Mulan has come to be something of a feminist hero with a big helping of “Girls can do anything boys can do! Heck yeah!” However, that has not always been the case in China. The preface to the book explains that in China, the focus tends to be on filial duty and patriotism. Sometimes it’s more the former. Sometimes it’s more the latter. On top of that, Mulan’s legend was not used so much to inspire women as to inspire men and not in the most positive of ways. Even in one of the plays in the book, Mulan even says something like she plans to shame the men who would not do as much as she’s doing. So, a lot less “You go girl!” and more “Look, even a girl will go off to fight our enemies in her father’s place. Some of you men wouldn’t even do as much as that. Shame on you!” Even with legends like this, the gender roles of pre-Industrial China remained what they were. Maybe that’s why in every version she always returns home to her old life rather than taking the Emperor’s offer. Heck, she usually gets married at the end too. It’s also usually a marriage arranged by her parents to the son of a neighbor who scored well in his exams. You could probably spend a lot of time studying the legend of Mulan and how it connects to gender norms and Chinese history. However, I’m not quite equipped to take on something of that scale here on the blog. However, I will leave you with a link to the original poem right HERE and another translation HERE. What the heck, have a link to a clip from the film Mulan Joins the Army too! Also, I’ll link a website comparing the Disney version to one of the plays. While the original story may be a bit bare bones, the ability of this story to change with the times and cultures and appeal to new generations really does make it The Stuff of Legends! Fantasy Literature Rewind: Rootabaga Stories. Ah, the good ol' USA! It's a country that sometimes seems to have everything. However, there is something that this country has never really been able to lay a claim to. The United States has never had its own fairy tales! Maybe it's because of how young this country is. Maybe it's because of how this country came of age with the Industrial Revolution, which gave the world easy access to newspapers and books as well as television and radio years later. For whatever reason, there aren't any home-grown American fairy tales. Sure, we have tall tales, legends and ghost stories. There are also European tales that have been transplanted and taken on an American flavor, like the Jack tales of the Appalachian mountains. I've even encountered some unique takes on the old tales that hail from the Scoharie region of Upstate New York. However, there aren't any that just sprang up from the fertile soil of the United States. Now, I know what some of you are saying. "Since when are any fairy tales homegrown? Don't most of them travel a bit?" Well, you may be right. However, that didn't stop some writers from trying to create fairy tales just for the US of A. American writers like Frank Stockton, Howard Pyle and L. Frank Baum have all created their own fairy stories. Now, this is during a time when the words "fairy tale" were pretty much synonomous with "fanciful stories for children". So, most of these tales reflect that more than the various grace notes and motifs that scholars associate with fairy tales. Also, as noted in a post by our friend Gypsy on Once Upon a Blog, American fairy tales seem to less often emphasize changes in status as much as just embracing the life in front of you. However, they do tend to be full of wit and whimsy. Now, of all the various writers who attempted to created American fairy tales, there is probably one whose literary credentials outstrip all others. 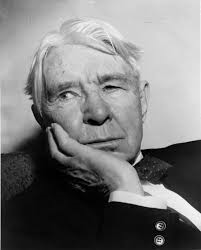 That would be the great American writer and poet Carl Sandburg! Sandburg was a unique American voice. He had been a writer, poet, journalist and critic as well as doing a number of other jobs like being a bricklayer, a farm hand, porter and soldier. He even spent some time travelling the railways as a hobo! It was during his transient days that he learned many American folk songs. These songs would eventually be published by Sandburg in book form and he would often perform them at speaking engagements. He was even one of the men who popularized the ballad of John Henry (something I neglected to mention in an earlier blog post). It was later that for his three daughters he decided to create his own American fairy tales, feeling that the European tales weren't quite appropriate for a generation of children living in a time and place far removed from kings and castles. It was thus that Rootabaga Stories was born. The Rootabaga Stories are a collection of interconnected, fanciful stories set in a fictional version of the Midwest called "Rootabaga Country". The book starts out with a man named Gimme the Ax and his children Please Gimme and Ax Me No Questions (Odd names, but it's not like "Snow White" is any more normal). These three are happy at first until they realized that everything always seemed the same. They then go and sell everything and buy train tickets to the end of the line which leads to the Rootabaga Country. On their way, they go through the Over-Under Country where trains always pass over and under each other but never side by side. Then they go past the land of the balloon-pickers where people on stilts pick the balloons that grow in the sky. Then, they went past the place where circus clowns come from. The clowns are actually baked in great, big ovens like gingerbread men or ceramic figures coming out of a kiln (depending on your feelings about clowns, this may sound either creatively whimsical or downright frightening). Then, finally, they made it to the Rootabaga Country where pigs wear bibs and the train tracks run in zigzags. From this beginning descriptrion, you may have realized something. These stories are downright crazy. No, really. 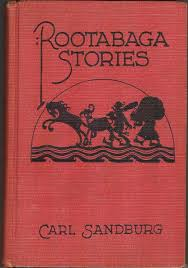 If L. Frank Baum's stories were whimsical, then Sandburg's Rootabaga Stories are whimsy on overdrive. "Please Gimme grew up and his ears got longer. Ax Me No Questions grew up and her ears got longer." "Eeta Peeca Pie grew up with wishes and wishes working inside him. And for every wish inside him he had a freckle outside on his face". The Rootabaga Stories are filled with characters like this with strange names. Others include the Potato Face Blind Man, Bimbo the Snip and Rags Habakuk. The stories about all these characters often seem to be of the serendipitous sort. A character starts in a certain position, strange and magical things happen to them and then eventually it all ends and they're back to where they begun with no harm done. This is a considerable difference from the traditional European fairy tales that concern themselves with a change in status. For example, Cinderella starts out a servant and ends up a princess or Jack starts out poor and ends up rich. There are some Rootabaga tales that have a bit of melancholy to them. For example, "The Two Skyscrapers Who Decided to Have a Child" ends on a bit of a sad note similar to the way many of Andersen's tales do. Sandburg does make good on using American objects in his tales. Other than skyscrapers, there are also trains, jack rabbits, wooden cigar store indians and corn fairies. All without a king or princess in sight. If it seems I'm having trouble describing these stories, you might be right. I read them weeks ago and am still not sure I've fully processed them. These stories simply have to be read to be believed. And you can do that by clicking right HERE. On the Gender Dynamics of Princes and Princesses. Oh, Grimm help me! I'm actually going to try and talk about feminism and gender relations in fairy tales here (if this kills me, please remember to tell tales at my wake). Now keep in mind that I haven't really done a whole ton of research regarding this subject other than what I've read in other fairy tale blogs. I tend to be more "tale-hunter" than scholar, so I don't know what Jack Zipes or Vladmir Propp or Marina Warner say on the matter. I just know what I've seen. So, I know it's a thorny issue but bear with me. This subject came up as I started to view responses to the new Cinderella movie pile up online. Some were glowing while others absolutely condemned the movie as putting forward the worst values of the story. It also came to mind as I started to read up on the common uses and reactions to the legend I'm going to spotlight at the end of the month (which legend? You'll find out). Okay, so fairy tales and their cinematic adaptations have come under fire for a long time now for not being particularly feminist. By this, they mean that they put forward values regarding women that are seen as negative and backward. Common criticisms are that they are passive, lack agency, are valued largely for their appearance and always need a man to save them. Apparently, the presence of a female character just as a romantic interest is also something of an issue. This is why Disney's Frozen is considered a grand example of a feminist fairy tale. The main female characters are brave and/or powerful. They possess agency and make choices. There's a love interest, but his presence takes something of a back seat to the relationship between sisters. Now this is all well and good, except that Frozen isn't actually a fairy tale. Now, it's just me but aren't some of the expectations for women in fairy tales a bit high? I mean, it's nice to aim high, but in many cases the men in these stories don't have all that going on themselves. Let's take a look at the three most infamous examples: "Snow White", "Cinderella" and "Sleeping Beauty". All three are considered examples of stories where the female lead needs to be rescued by a man. However, is the lot of the prince really so great? We don't know, because he's hardly in these stories at all. The prince may be the one who enacts change at the end of all three of these stories to some degree, however he usually just appears at the end of the story to conveniently wrap everything up. Even in a genre where characters are one or two dimensional at best, he's barely a character. He's more like a reward for the female lead for having put up with so much trouble. "Congratulations on not dying. In exchange you get to marry someone with money and influence". This is probably one of the reasons that while every little girl wants to be a princess at some point, little boys rarely want to be Prince Charming if at all (plus, the job involves too much kissing). The mainstream really has a strange relationship with the concept of the fairy tale prince. They've somehow gotten the reputation as being sort of idealized knights errant: handsome, brave, courteous men who ride white chargers and slay dragons. It's gotten to the point that we've seen it parodied in Shrek, Into the Woods, Enchanted and even the Ever After High web cartoons (I think I'll leave a link to a cartoon featuring Daring Charming right HERE. The man is a hilarious combination of prince stereotype and high school quarterback). Is this often the case? Well, not really. I've read one or two Russian tales in which a prince slays a dragon. Overall, I'd say it's maybe a case of one in fifty tales feature this example. The truth is that a grand majority of the "prince" stories I've read usually require him getting a lot of help from outside forces. Take my recent post about "The White Cat" for example. While the youngest prince is arguably the lead in the story, it's the female lead of the White Cat that has all the resources that allow him to surpass his brothers and gain the throne. What he offers is his heart and his time. There are any number of other tales with that thread, too. A prince tries to win the daughter of an ogre or sorcerer or giant. So, the father sets a number of impossible tasks for the prince. The prince, distraught that he can't do the impossible turns to the daughter for aid. She then either gives him detailed instructions or just does it for him. In many cases, a prince's task doesn't rely so much on honor and valor as being able to follow directions. This now brings me to the subject of agency. Now, this term can have a couple of different meanings. However, in this case, I'm going to define it as "the ability to enact change". After all, many fairy tales are really tales of transformation at heart. The thing is that once you get down to it, a great deal of agency in fairy tales comes from outside forces. These are forces that are mysterious and magical and that exist beyond our ken. The Fairy Godmother in "Cinderella" is one of these forces, but so is the old woman who gives the invisibility cloak to the soldier in "The Twelve Dancing Princesses". They may not participate in the main action themselves but they push other characters in the right direction or give them tools to get the job done. We assume that these other-ly forces are responding to the main character's innate goodness or kindness or that they're working to right some kind of wrong, but we're never really sure. Of course, this doesn't even take into account Jack tales. Jack tales are their own animal. Jack is an active character who sets out to seek his own fortune. He usually succeeds using his own wits and some luck. He rarely gets married at the end of his stories, though he does find fortune. However, I doubt anyone who feels the desire to read a feminist story would like to see a female equivalent to a Jack tale. Why? Well, a lot of those people are looking for a character that can be a positive role model for young girls. Jack is often not role model material. He's a fool and a scoundrel on his best days. His successes are usually found by stealing and trickery in some stories and sheer dumb luck in others. I find that a few of the stories that don't have the typical romantic resolution usually feature rogues as their leads. My favorite Grimm tale is "How Six Men Got on in the World" which doesn't have any romantic elements at all. Heck, the only female character is a greedy and haughty princess who gets punished alongside her father. However, the story also happens to be about a band of super-powered con artists who trick a king out of his fortunes. Even Jack isn't immune from dealing with outside forces. 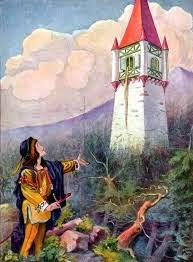 One version of "Jack and the Beanstalk" by Edwin Sidney Hartland features a beautiful fairy who takes credit for Jack trading the cow for beans and their miraculous growth. Okay, that's all I've got for now. Like I've said before, I didn't research this one much (maybe someday in the future). Also, I should point out that none of what I've listed above is completely universal. There are a few stories that do feature princesses who do a whole lot on their own and rescue princes (don't make me link to my post about "Kate Crackernuts"). Every rule has an exception. If I've made any mistakes, let me know. However, I think that maybe what I've managed to do is bring up a few discussion points. Also, maybe I've pointed out that relationships and gender norms in fairy tales can be a bit more complicated than people think. Just like in real life. Hello again, one and all. Adam Hoffman, Fairy Tale Geek here, bringing you a very special column to kick off the month of April. For months, I’ve given you my recommendations for hidden or forgotten tales through my “Folk Tale Secret Stash” column. However, now Spring is starting. It’s a time of rebirth and rejuvenation. Also, with The Turnip Princess and other tales by Franz Xaver Schonwerth published just a few weeks ago, it’s also a time of rediscovery in the fairy tale loving community. So, what can I do right now to up the game I started when I introduced people to “How Six Men Got on in the World” all those months ago? Easy. I’m going to get a whole bunch of my online friends in on the act! That’s what Fairy Tale Hidden Treasures is going to be about. I will introduce a tale and then pass the torch to another blogger who will introduce another tale and so forth. Make sure to follow the links! Now, I’ve spotlighted so many obscure tales. However, I thought I’d use this chance to spotlight a story written by a fairy tale writer whose work has been pretty well forgotten by the mainstream here in the USA. Or rather, two writers. All will be clear in a little while. 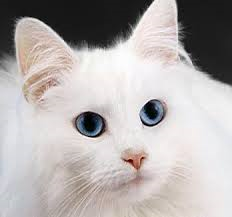 The story I am talking about is “The White Cat”. 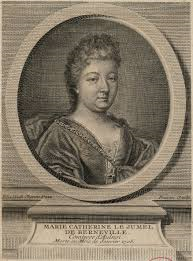 The first writer was Marie-Catherine Le Jumel de Barneville, Baroness d’Aulnoy, or Madame d’Aulnoy for short. Madame d’Aulnoy as a French aristocrat in the late 1600s had a full and eventful life. However, we’re most concerned with her writing career. 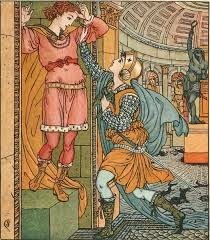 D’Aulnoy was one of the first French salonistas to start writing fairy tales, alongside more well-known writers like Charles Perrault. In fact, the title of her first fairy tale books Les Contes des Fees or Tales of Faeries is said to be the source of the more streamlined English term “fairy tale”. Madame d’Aulnoy wrote two books of tales and it was in her second one New Tales, or Fairies in Fashion that “The White Cat” appears. The story itself is drawn from folk tale archetypes. It’s essentially a polished and expanded tale of the “Puddocky” type. Certain less savory aspects are changed to make it more suitable type of tale for the upper crust of Parisian society and lots of minute detail has been added. It has essentially been transformed into a literary tale more fit for pleasure reading than telling aloud. I now ask you to fast forward to the early Twentieth Century. A scholar and anthropologist named Henri Pourrat retires to the country for his health. He develops a need to write and finds himself in the unique position of being able to collect the oral tales of the Auvergne region of France. What is one of the tales that he collects? Why, it’s “The White Cat”! Over the preceding century or so, Madame d’Aulnoy’s tale has worked its way back toward its folk roots, keeping some of the elements that the Baroness added but evolving into a simpler, more streamlined story. This is a process that never seems to stop. The folk becomes literary and the literary becomes folk. The story as Madame d’Aulnoy tells it concerns three princes, brothers, who are interested in inheriting their father’s kingdom. Their father isn’t so interested in giving up his throne. So, the kind sets certain tasks for them. First he asks them to bring him a little dog to keep him company in his old age, but only the finest little dog will do. The three princes set out on the adventure. One prince heads one way, another heads another way and the youngest still another. Now, the youngest eventually finds himself at a magnificent palace. Asking for a place to stay, he finds that the palace is almost entirely populated by cats. The only living thing there that is not a cat are hands that act as servants (movie buffs will be reminded of Jean Cocteau’s Beauty and the Beast). The mistress of the house, though, is one specific White Cat. The prince takes quite a shine to this fabulous feline and he spends almost a whole year in her company. Finally, the time comes for the prince to return home and the White Cat hands him an acorn. Upon returning, his brothers present lovely little dogs to the king. Then, the prince cracks open the acorn. This reveals a tiny little dog of a thousand colors that dances with castanets when placed on the ground. Needless to say, the king is impressed. However, he still doesn’t want to give up his throne. So, he sets another task. He sends them to find linen so fine that it can pass through the eye of a needle. The princes all go off to find the linen and the youngest heads directly to meet the White Cat. Again, he spends about a year hanging out with the mewing mistress of the manor until the cat reminds him it’s time to go back. This time, she hands him a walnut and sends him on his way in a beautiful golden carriage. When he returns home, his brothers have indeed brought fine, beautiful linen for the king. None of it can be threaded through the eye of a needle, though. So, he cracks open the walnut. Inside, he finds a hazelnut. Inside that, he finds a cherry pit. Then . . . well, many layers later he finds the finest piece of linen possible and it slides through the eye of the king’s needle with ease. The youngest prince wins again. However, the king has one more task for his sons. He sends each of them off to find a bride. The one who brings back the most beautiful girl wins the crown. And . . . I think I’ll leave you here. I really do hate spoiling things if I can help it. Don’t worry, I’ll provide a link further down. This synopsis really is a very stripped down version of Madame d’Aulnoy’s story. The original has much description of the White Cat’s opulent palace and the activities she and the prince get up to. There’s also a tale within the tale that serves as the White Cat’s origin story. Henri Pourrat’s story follows much the same story but by a simpler path than Madame d’Aulnoy’s. The tasks the king sets are a little different and the solutions the White Cat gives the prince seem to emphasize ingenuity a little more than sheer magic and splendor. I really like this story because it stems from the dawn of the literary fairy tale, giving it a real sense of history. It also combines a nice “impossible quest” type of motif with something of a gender-swapped “Beauty and the Beast” dynamic. This gives the tale a little bit of a unique feel. Now, to those who are a bit more arts-savvy, you’ll know that the White Cat isn’t quite a complete unknown. She gets an appearance in the Sleeping Beauty ballet in which she dances a pas de deux with Puss in Boots (another Madame d’Aulnoy character, the Bluebird, also gets a dance). However, ballet is a largely European art (or at least seen as snobbish here in the States). Here in the US, she’s barely known. On top of that, translations of Madame d’Aulnoy’s stories are few and far between. You can find a copy of the story HERE at Sur La Lune and it can also be found in Andrew Lang’s Blue Fairy Book. Henri Pourrat’s version is even harder to find. My book French Folktales by Henri Pourrat and translated by Royall Tyler is out of print. Also, Pourrat’s stories seem to have no online presence. The best I could find is THIS. Otherwise, interlibrary loan and used book vendors may be your only option. So, that begins the cycle for Fairy Tale Hidden Treasures. I will now pass the torch over to Amy-Elize Brown of Asleep in the Woods who will introduce you to another hidden or forgotten tale. Asleep in the Woods: "The Valiant Blackbird"
Tales of Faerie: "The True History of Little Golden Hood"
Once Upon a Blog: "The Heart's Door"
Life, the Universe and Everything: "Davy and the Devil"
The Multicolored Diary: "The Princess' Curse"